Because my non-fiction reading is moving along at a snail's pace and I am despairing of actually finishing the many books I have started, I assumed that I had barely read any books last year. But as I started rounding up library titles and photos I had taken of books finished, I find myself surprised that I did read even a handful. So in no particular order or genre, I'm sharing those finished titles with you. I'm not sure where I heard about Le Carre's novels, but when I saw it at the used book sale last February, I decided to give it a try although espionage stories are not a genre I have much experience with. And although I am not well traveled nor very street smart, I managed to keep up with the international flavor of the story and get lost in the mystery element of the plot. I think I would like to try some of his earlier novels and see what I think of his writing then. One title is not enough for me to say whether I enjoy espionage stories. When I heard they were making a movie of this book, I thought oh no, they are going to ruin it. So to prepare myself for maximum damage, I re-read it and then watched the movie when it came on Netflix. While the movie cannot replace the book, I didn't regret the parts of the story that it did cover. I enjoyed the movie and I still want to read the book again and again. I think it's the telling of the story through so many different points of view that makes it feel vibrant and vivid. Just a memory of my desk set-up from our old house. I'm looking to do something similar for my new work area. Thankfully we boxed and moved the bricks so I can recreate it, unless they broke in which case I know where I can find more. Ha! On a continual mission to find vintage Newberry award winning books, I finally found a good used copy of this gem and enjoyed it as a quick read. It tells the story of the author's own girlhood growing up with her brothers and her parents and the nearby Indian camp. It is endearing and while told from Caddie's perspective, the family life retold can easily be read by a boy or a girl. I'm glad to have added this newer classic to our shelves this summer. Unfamiliar with this title, the gold Newberry award logo caught my eye on a trip to our local thrift store. Set in China in the early 1900s, it tells the story of Young Fu moving from the countryside to a large city with only his mother where he will serve as a coppersmith apprentice. It is a story of a young boy who must learn from not only his mistakes but from those around him as the winds of communism begin to blow into his city. I read Jean Fritz's Homesick: My Own Story last year and I recognized a little bit of overlap as it covers around the same time in China. A huge fan of Jean Craighead George and the childhood she enjoyed (well at least the parts she's shared) being outdoors with her family, camping and traveling all over the United States to study nature, I scooped up this title and read it with a happy heart in one short afternoon. This edition compiles four winter studies of animals in their seasonal habitat writing with descriptive yet realistic understanding of their habits and behavior. I am keeping my eye out for the other three books in the series covering the other seasons. Just a reminder to me to look for these other titles. 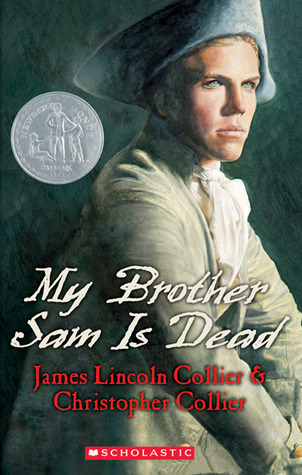 I'm quite sure I had read this before as a youth, but I didn't remember the story line at all, so I read it this past summer and was gripped by the story and by the turmoil that the American Revolution brought to families and people on both sides of the issue. My school studies and history classes left me with an academic understanding of the war, stories like this made the time period and events more realistic. I would recommend students read this in the upper middle school years or early high school, especially if they are studying this time period. It's not always easy to read, you may find yourself urging the characters to do this or not to do that or you just might find yourself feeling empathy for what people endured. Two more books were written after this one to make a trilogy which I have not yet read, but plan to keep a look out for. I had no idea what to expect, I just knew that others had read this and I took it as a recommendation. A couple of pages in and I'm grinning as I read through one paragraph after another. Written to tell you about a simple boat trip undertaken by three friends and one of their dogs for an extended holiday, you soon realize that Jerome is taking you out for a jaunt as the stories related cross back and forth from land to water. It reads like a stand-up comic routine as he tells you about adventures on the water but which prompts him to go back in history or recent memory and tell about some other event that one, all of them or none experienced elsewhere. Then he brings you back to their 'current boating expedition' for a moment before you're off again on a story of some other import. With so many great descriptive tales you're told, you know you're in the presence of a first-class story-teller. It reminds me very much of Beverley Nichols and his Merry Hall and sequels. Because they are told in the first-person, you want to think that these events really happened this way. But you know the writer is just having a jolly time with his readers. I look forward to re-reading this again and again and laughing each time. I've only read one slim book by Belloc, An Essay on the Restoration of Property (which I definitely need to re-read) but I've read about him and know that he is someone worth reading. This collection samples from his other writings and leaves you with a long list of writing to look forward to collecting and reading. I read a few of the poems, but spent most of my time with this book reading and re-reading the seasonal essay, A Remaining Christmas. It reminded me very much of stories and essays I have read by Henry Van Dyk in borrowed volumes, exquisitely bound from my father-in-law's book collection. So much goodness and hope recounted in these pages. 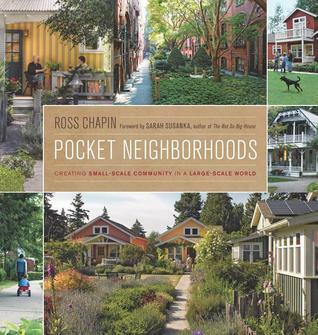 More than a year ago, my friend Vanessa tagged me in a post on a Facebook page for architect Ross Chapin saying that I likely lived in a ''Pocket Neighborhood". I was intrigued and read through some of the posts and then put it on the crowded backburner of my mind. When we decided to list our house for sale last spring, I was reminded of this concept and decided to request this book from our local library as a kind of last-hurrah celebrating the home and neighborhood we had been part of for ten years. I loved reading through this book recounting the history of how homes were designed and established to build community around living spaces both indoors and outdoors. Walking a distance from your car in the parking lot down a path to your front door away from the busy street traffic is a bonus for creating safe areas for children to play and roam but a bit unhandy for lugging groceries and small children. If I didn't want more property to call my own, then the idea of small garden spaces, both private and communal, suitable for walking through and around without vehicles to contend with is wonderful. The downside to sharing communal space with your neighbors is the need for sharing responsibility for these spaces. Not everyone views home ownership with the same level of commitment. Despite its drawbacks of shared responsibility, I can see the delights in communities like these. In addition to that book, I borrowed several of Sarah Susanka's home design books from our library and even though most of them were dated and not to my design taste, it was the principles behind her designs that intrigued me. One of her principles that we had already noticed and enjoyed in our new home plans was that of having some sort of loop of movement in the main living areas of a home. In our case, we have a loop that allows you to move from our kitchen through our laundry/mudroom area and out into the main hallway. A loop allows for movement of efficient task completion, guest dispersal and small children who like to run around. Maximizing natural light and discreet storage were also two other takeaways from her books that I thought about in looking at our house plans. Of course we were limited by the lot size and orientation but being aware of these ideas is always a good first step. And I should add here that I poured over my beloved copy of A Pattern Language as well. I don't think I would have consented to our home if it did not have some of the key patterns noted. Top of the list was the low window sills which allow you to see out of the window while seated and a covered front porch with a front door entrance tucked into an alcove. A Pattern Language influenced my choice of windows and front door as well giving me a solid list for furniture and lighting choices. If you can find a copy to borrow or buy, do it. You will get ideas for all sorts of things even if you don't agree with the authors' ideas. Because I am wary of modern fiction, I have to rely on recommendations from friends who read more widely than me to help me find the good ones. This is a good one, for me. 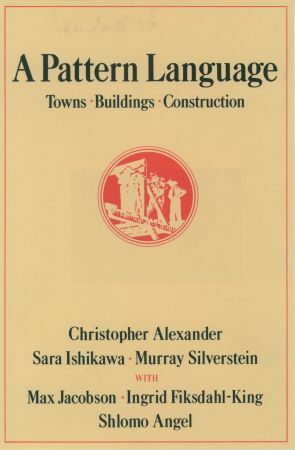 My friend Bonnie posted a photo of this book on her Instagram feed with high praise and that's all it took for me to slip over to my local library website and request a copy. I devoured the book and then looked for his others. Others will tell of its merits better than I, so do read the reviews and decide for yourself. I plan to own this in hardback. 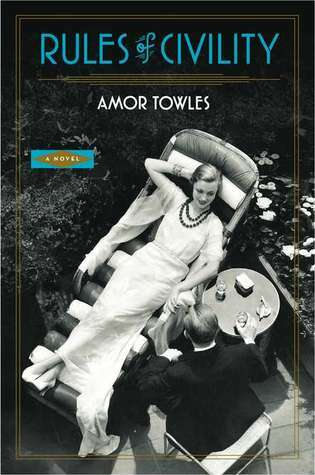 I did enjoy this book as well but I doubt I would have requested it without having enjoyed Towles' Russian story first. This story expects you to keep up, not giving you much time to speculate on what the next turn in the plot will be before it hits you. I think I could read it again and enjoy it, but I loved A Gentleman in Moscow more. The Spy Who Came in From the Cold is a Le Carre book I enjoyed. A little bleak, but it was set during the Cold War so that’s expected. I really enjoy Belloc’s humorous poetry. Some great selections, Heather. Thanks Carol, I keep seeing that Le Carre title, so I hope to find a good used copy soon or just look for it at my library.